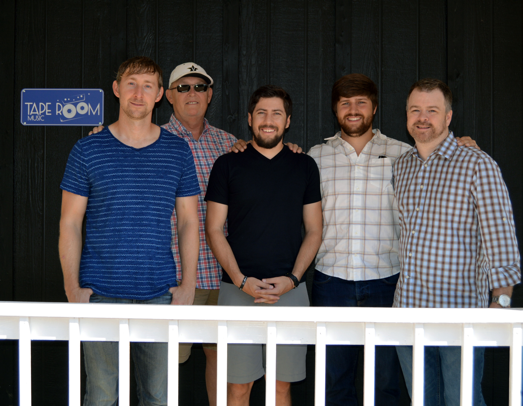 Pictured (L-R): Ashley Gorley, Tape Room; Jeff Carlton, Tape Room; Brad Clawson; Will Overton, Warner/Chappell; Ben Vaughn, Warner/Chappell. Warner/Chappell Nashville, along with Ashley Gorley’s publishing company Tape Room Music has signed a worldwide publishing agreement with singer-songwriter Brad Clawson. Clawson is the son of country songwriter, Rodney Clawson. In 2011, Gorley partnered with Combustion Music and Warner/Chappell Music to found Tape Room Music. The company’s songwriting roster includes Zach Crowell, Jerry Flowers, Matt Jenkins, Hunter Phelps, Bryan Simpson and Will Weatherly.